On Mashable an article on China’s territorial contrasts: from a green thriving countryside to a polluted, unhealty urban environment. Chinese cities are considered among the more polluting in the world and in fact China, which “is expected to be home base for almost half od the world’ new construction in the next ten years” is now starting a quick action since otherwise its cities will be unliveable. 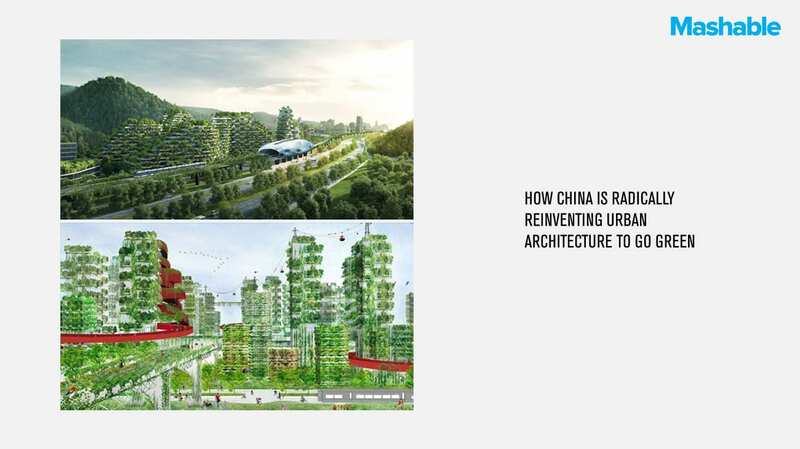 The country is now fighting back with innovative solutions, investing in wind and solar panels, reducing the more dangerous industrial production but also promoting the presence of nature in the city, as in the Urban Forestry projects designed by Stefano Boeri Architetti China that aims to make the natural element as an integrating part of the buildings, as in the project for the Nanjing Vertical Forest, which is now under construction, and the project for the Liuzhou Forest City.